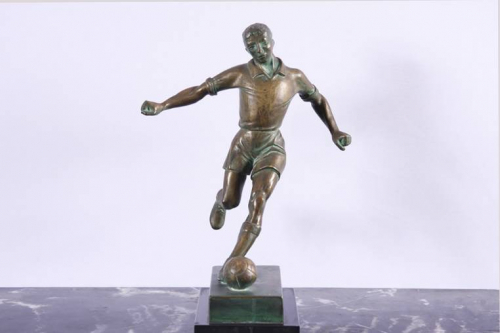 Bronze sculpture of a footballer in action. Signed G.E. Mardini. On a marble base.